Jesus Andrade believes soccer is more than merely a sport, but more of a passion. Upon meeting Mr. Andrade, one will discover, he eats, sleeps and breaths soccer. Not only does his program focus on just soccer skills, but the mentality, conditioning, and discipline that is the core of every great player. Mr. Andrade’s specialty is youth soccer player development. He instills confidence and self-esteem through his coaching to unlock their true potential. With more than 10 years of soccer coaching experience, he has helped amazing players reach the peak of their personal development. His professional resume spans from training league professionals, a former Division 1 NJCAA player for Monroe College, and most recently a speed, agility, and strength conditioning instructor for the Joe Palumbo Soccer Academy. Indoor Extreme Sports is at Indoor Extreme Sports. ☀⚠ WE ARE OPEN TODAY! 2-For-1 Special ⚠☀ Experience Paintball - Lasertag - Archery Tag - Virtual Reality! 🗣We also have Axe Throwing and Escape Rooms available! Indoor Extreme Sports is at I Survived The Room. 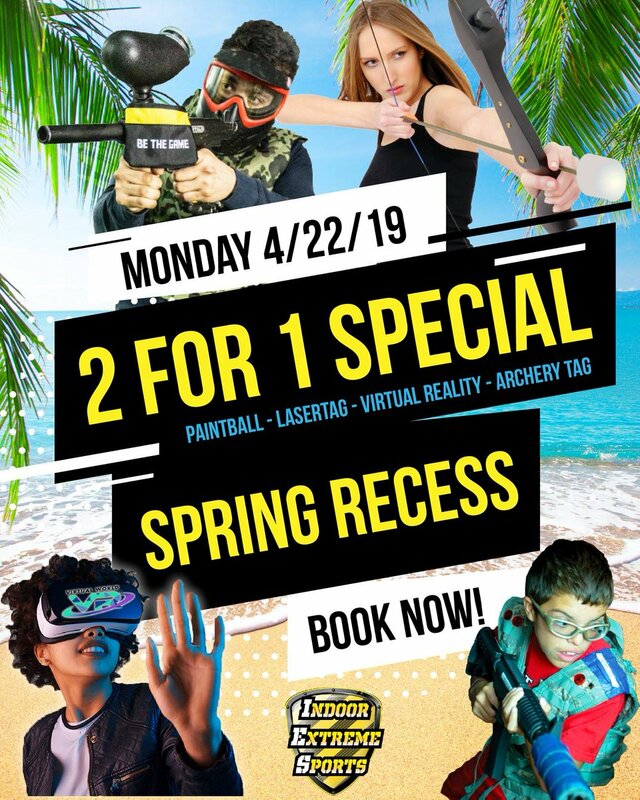 ☀⚠ SPRING RECESS 2-For-1 Special ⚠☀ We will be OPEN on Monday for Spring Recess (4/22/2019) - Experience Paintball - Lasertag - Archery Tag - Virtual Reality! Indoor Extreme Sports added a new photo — at Indoor Extreme Sports. 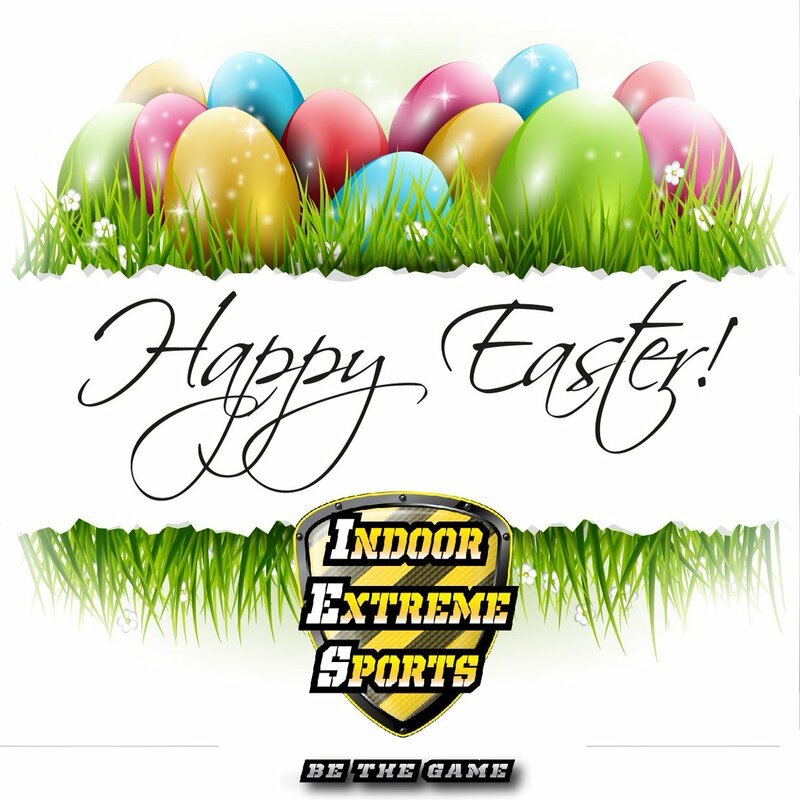 🐰 From our entire team here at Indoor Extreme Sports, we wish everyone a HAPPY EASTER! 🐰 Our LIC Location is OPEN today, our Staten Island Location is CLOSED!